A popular and growing trend among millennials and young people is the use of essential oils. Consumers are using oil diffusers as a cure for just about any ailment from acne, high blood pressure, headaches, anxiety, depression, body aches, menstrual cramps, and of course, getting to sleep! In the 20th century society is moving toward natural and holistic treatments over medications and doctor’s appointments due to a mistrust of modern medicine and a strong desire to get back to their roots. There are literally hundreds of oils out there that can be placed in diffusers, added to soaps, cosmetics, and home-made misters. The quality of essential oils makes them somewhat costly, but if you purchase the right brand, your oil will last you for months. Carrier Oils – Some examples of these oils are hazelnut, avocado, cucumber seed, primrose, hempseed, jojoba, grapeseed, coconut, shea butter, macadamia, and sunflower. Carriers are meant to help to dilute essential oils without causing them to lose their potency or strength. For example, if you were to add water to dilute your oil, it might get rid of the therapeutic properties. Carriers won’t reduce the beneficial characteristics, but they will keep the oils in your diffuser from becoming overwhelming. If you tend to find yourself with a headache when using therapeutic oils, you might just need to add a carrier to it. Diffuser Oils Are Toxic to Pets – Lately, people have been using essential oils and diffusers as a way to calm their pets down when travelling to new places or trying to get to sleep at night. Safe oils include lavender, cardamom, spearmint and thyme. You still need to dilute them significantly, and avoid oils that contain tea tree, cinnamon, citrus, pennyroyal, pine, sweet birch, winter green and ylang ylang. If your pet begins to exhibit strange behavior like excessive drooling, tremors, or acting as if they don’t recognize who you are, these are signs of poisoning due to essential oils and they should be taken to the vet immediately for evaluation. Sky-Organics has a wide variety of oil mixtures, but this one is just pure, untouched lavender! Derived from artisanal farmers from the south of France, this natural oil doesn’t have chemicals or harmful substances added to it either. For anyone suffering from a migraine, lavender is known to ease the tension of a headache and help you fall asleep with ease. This oil is also considered to be a mood booster, and since depression is often a symptom that stems from lack of sleep, a bit of this essential oil might help you. You can run a tiny bit in your hair or add a drop to your wrists. Essential oils can also be administered by pouring a few drops into a spray bottle, then simply add a bit of water. Pregnant women experiencing nausea and vomiting will be happy to know that lavender helps to settle the stomach. Try spraying lavender mist on your bedsheets before sleeping, this way you won’t have to wake up and run to the bathroom in the middle of the night! The uses for lavender are endless, you don’t have to use it just for sleeping! If you mix a few drops of massage oil with a few drops of the lavender, you’ve got your own unique, personalized massage oil. The stimulating effects are beneficial to encourage healthy urine flow and the calming properties create better circulation and blood flow. Sky-Organics is a reputable company that has excellent reviews from their customers worldwide. They have other essential oils available in orange, eucalyptus, lemon, and peppermint. Sky-Organics also offers diffusers at an affordable price! 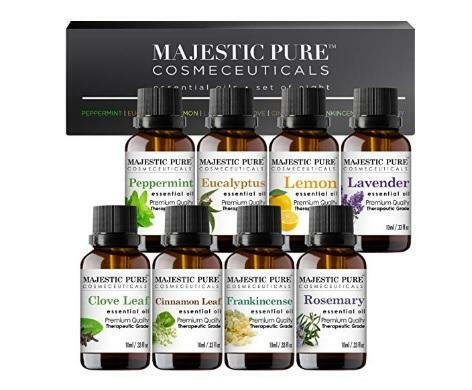 This awesome pack of 8 different essential oils is worthwhile if you love to try new scents. Not only does it include Bulgarian lavender, but rosemary, frankincense, and clove leaf as well! Frankincense specifically is a natural sleep aid and provides anxiety relief. Another effect of frankincense is its ability to open up your airways. If you’ve ever had an upper respiratory infection, you know how hard it can be to breathe, let alone fall asleep. You don’t have to suffer through it, mix up a few drops of lavender and frankincense and add it to your diffuser, or rub a very small amount on your chest like you would with vapor rub. This starter kit is perfect for someone who has heard about essential oil, or is curious and can’t decide which one to get. It’s better to start with kits like this because they are inexpensive, and once you find a smell you really like you can purchase a larger bottle later. For sore feet after a long and exhausting day of work, put a few drops of lemon, clove, eucalyptus, rosemary and cinnamon into a rolling bottle. Of course, you’ll need to dilute this mixture with water! Roll onto the soles of your feet for a pleasant, muscle relaxing scent that eases the tension in your body. You should fall asleep easily once you start to smell the sweet and calming oils. Try the eucalyptus on your feet while you’re at work to keep your pain away all day long. You’ll be pleased to know that the Synergy blend has its own exclusive blend, rather than a single scent. The perfect compound of lavender, sweet majorum, chamomile, bergamot, ylang ylang, sandalwood, key lime, and vanilla will invigorate your senses and loosen you up for the evening. Edens Garden does not use any additives, fillers, bases, or any other synthetic chemicals in their products and they are GC/MS certified for customer safety and satisfaction. 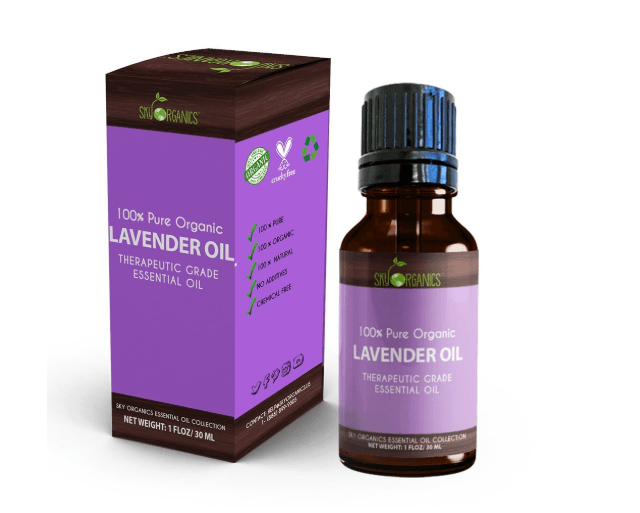 The oils are derived by cold pressed plant matter such as flowers, leaves, bark, stems, and wood; 10% of all profits go to charitable organizations. Another excellent product is the Relaxation Synergy Blend; maybe you aren’t trying to sleep for several hours. If you just want an hour or two to relax and take a nap, try this blend instead! Use a carrier oil such as sweet almond with this fusion of lavender, sweet marjoram, chamomile, geranium, mandarin, and patchouli. If you have a sleep tracker at home, try using this essential oil for a week and compare the results to that of the earlier weeks when you hadn’t been using the Relaxation or Good Night Synergy Blends. You should see a significant improvement in your REM cycles and experience deeper, more sound sleep where you aren’t waking up several times a night. Those of us who frequently get tension headaches and migraines don’t have the easiest time getting sleep. The sensitivity to light, noise, and movement, are equally as miserable; watching someone walk across a room or seeing a flash from the tv is enough to make you sick. So, what can we do about this nausea? How do you get to sleep when you need to run to the bathroom every 30 minutes? Well, peppermint has always been a holistic cure for nausea and vomiting! 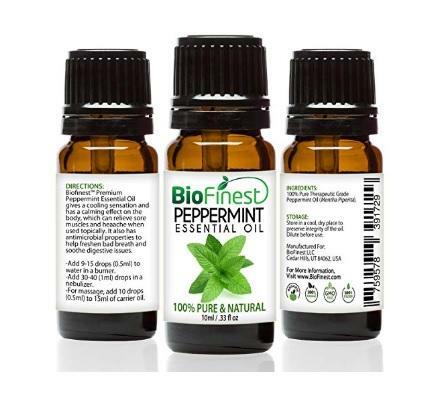 Instead of trying to hold down an actual peppermint, try the BioFinest Peppermint Oil. After about 10 minutes, your stomach should start to settle and your headache should be much less noticeable. Soon, you’ll be able to comfortably drift off to sleep and wake up feeling like a brand new person. Peppermint also happens to be great for when you’re truly sick. It can be hard to breathe when your nose and lungs are full of phlegm, and in turn, sleep does not come easily or at all. Use the BioFinest Peppermint Oil to open up your airways and get the rest you desperately need. Feeling ill is no fun, but this 100% pure and natural oil will get you on the mend, so you can get back to living your life the way you want to! For all the “Sleepytime Tea” drinkers out there, this is definitely the right oil for you. Unlike other essential oils, this is meant to be placed in your diffuser for a little extra flavor and relaxation while you enjoy your nightly cup. Vitruvi is a popular and widely renowned brand for its top quality oils and competitive pricing. As soon as the box arrives, you should catch a whiff of the aroma before you even open it, it’s that strong! The smell of pinewood forests and mountains will take over your senses, putting you right to sleep. 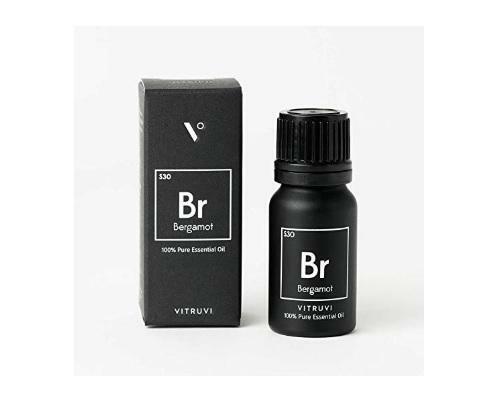 Although it may not be as strong as other oils when placed in a diffuser, it’s important to remember that Vitruvi created the bergamont to be enjoyed with other senses. Using a chamomile tea with this oil is a great combination for getting to sleep, just make sure you plan on sleeping in the next morning! You’ll want to enjoy the deep rest as long as you can. 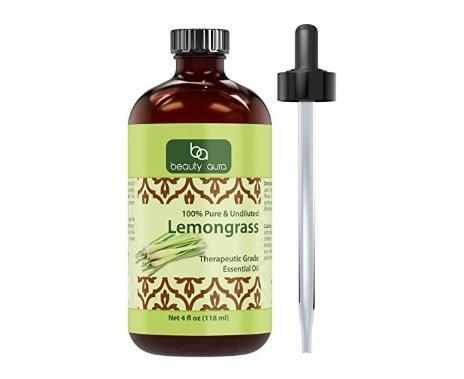 This large 4 ounce bottle of lemongrass essential oil will stay in your cabinets for weeks, thanks to the amazing quality and long lasting scent of Beauty Aura products. Lemongrass is one of the more popular, frequently purchased of the hundreds of scents available, and it can be used in so many ways. From air fresheners, beauty products, moisturizers, and sleep aids, it’s natural and highly regarded by people across the globe. Most important of all, the semi-sweet smell of this essential oil provides a calming effect that encourages muscle relaxation and tension relief. Lemongrass is meant to be blended or diluted with a carrier oil to keep it from becoming overwhelming. While this is a great product, there have been some minor complaints about the smell and bottle design. Some bottles have arrived with the dropper either melting or disintegrating into the actual oil. Once these plastic pieces of the dropper are placed in a diffuser (it’s going to dissolve into your oil) the smell can be unpleasant.. If you receive a Beauty Aura Lemongrass Essential Oil with this problem, discontinue use immediately and contact the company for an exchange. Sometimes these things happen, but it doesn’t mean you should lose your money when you can always get help from customer service support. You can also purchase a different scent, lemongrass is great for relaxing your body before bedtime, but there are plenty of other scents available from this company. We all know frankincense works wonders as a sleep aid when mixed with other oils, but what about when it is used by itself? One of the more popular essential oils, frankincense smells beautifully when placed in a diffuser. However, this particular brand should always be diluted with a carrier, especially if you’re using it on your skin or in DIY cosmetics. The earthy scent will relax your body and make you feel as though you’ve been dropped into a tropical forest next to a tree full of fruit. That image alone makes you want to drift off to sleep, doesn’t it? No real cons for this product! The Majestic brand actually has had mixed feedback from consumers, some felt that the smell just wasn’t for them. Each brand produces their essential oils in different locations, with different methods, and purchase plant material from different parts of the world. 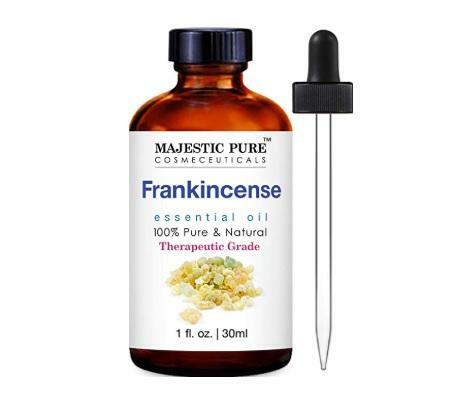 So you’ll have to remember that one version of Frankincense won’t necessarily smell exactly like the next one, although it should be very similar. If possible, you should always try to get a smaller bottle and see if you like it first before spending too much on larger sizes. Otherwise, put a few drops in your diffuser, grab your favorite blanket, get comfortable and pass out. This product is a little different, it’s not the kind of essential oil you place in a diffuser or add to a spray. 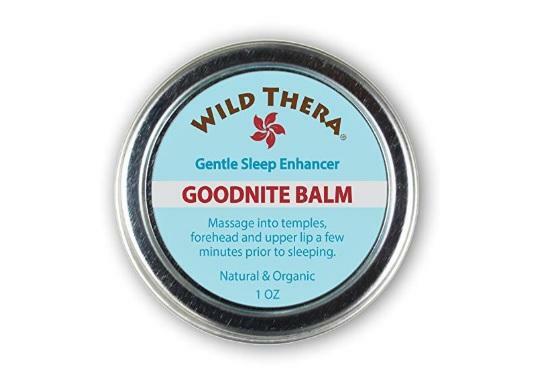 Designed as a sleep aid to help with insomnia, Wild Thera is similar a natural combination Carmex and Vicks Vapor Rub. Instead using it for when you’re ill, you rub small amounts on your temples, upper part of your lip under your nose, and forehead just before you’re ready to go to sleep. This balm is made with essential oils chamomile, clary sage, valerian, lemon balm, catnip, rosemary, lavender, extra virgin olive oil and beeswax, all organic and all natural. The company does not recommend anyone with kidney failure to use this balm as it may further aggravate the issue. In general, those with kidney issues should not use products containing magnesium. Otherwise this product is perfectly safe to use and will give you the assistance you need for a good night’s rest, and the castor oil might even help your eyebrow hairs stay strong healthy. About Dabora Dabora is Chief editor at Sleeping Culture. 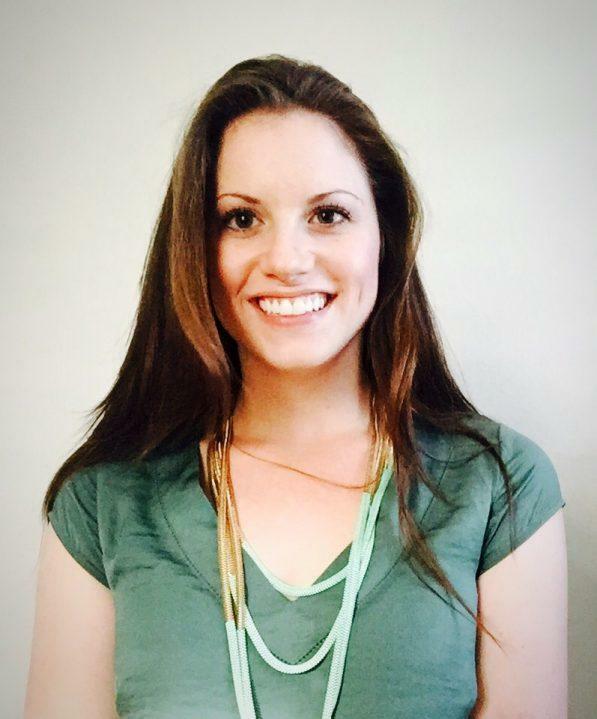 She is a proud mother of two, passionate about sleep and finding ways to live a healthier and stress-free lifestyle. Sleep doesn’t come easy for everyone, and if you’ve ever experienced sleeplessness, you know that a lack of sleep can take a real toll on you. Aside from feeling tired all day, a lack of sleep can affect your overall wellbeing and your ability to function properly. When you don’t get quality sleep, you may start to gain weight, be unable to think clearly, become ill due to a weakened immune system, experience hypertension and hormone disfunction, and have an increased risk of heart disease. By the same token, enjoying restful sleep can change your health for the better. Those who achieve consistent, restful sleep will enjoy improvement in memory, balanced emotional and mental health, proficient decision making, and a body that is able to regulate hormones properly and heal quickly. Because adequate rest is so important to our wellbeing, many sleepless people try to find a solution that addresses both sleep and health in the form of natural sleep aids. Sleep is a large contributing factor to our overall health. As mentioned earlier, there are many disadvantages to losing sleep, as well as many advantages to ensuring you get the proper quantity and quality of sleep. Oftentimes, busy schedules and personal and professional obligations cut into bedtime, but many people don’t realize that our bodies never become accustomed to getting less sleep than needed, so any lost sleep needs to be made up in order for your body to recover. However, not having the time to sleep is different from insomnia, or the inability to sleep, which is commonly caused by stress and racing thoughts or a medical condition. Despite schedule, stress, or medical conditions, the majority of adults should aim for 7-9 hours of sleep each and every night. Of course, there are always exceptions because everyone is different, so certain individuals may need 6 hours and others may need 10. An easy way to determine how much sleep your body needs is to keep track of how much sleep you get at night in correlation to how you feel the next day. If you feel tired during the boring parts of your day, your body could be telling you to get more rest. The lifestyle and routines you maintain also impact your sleep and health. One of the best ways to combat insomnia or improve the quality of your sleep is to live a healthy lifestyle overall. Eating junk food, smoking, drinking alcohol, and being sedentary can lead to sleeplessness, while exercising, eating right, and taking care of yourself in general can improve your health and sleep. Living a healthy lifestyle includes maintaining good sleep routines, too. Although personal and professional obligations tend to take priority over sleep, it is important to stick to a consistent sleep schedule of going to bed and waking up at the same times each day; your body will become trained to sleep at those times. Equally important is what you do before bed to prepare your mind and body for sleep. It is recommended that you try taking a bath or shower, reading or writing in a journal, drinking herbal tea, or meditating, and avoid being active, eating, or working before bed. Finally, ensure that your bedroom is conducive to sleep by making it calm and cool and eliminating any noises, lights, or movement. Understandably, many people who experience insomnia want to remedy the problem, but they also want to make sure that the solution they choose won’t negatively impact another area of their health. Out of the many sleep aids on the market, those that seem to be most in line with this goal are the natural remedies. Generally, sleep aids are drugs or supplements that treat sleeplessness by creating feelings of drowsiness or relaxation which help users fall asleep and stay asleep all night, but there are other, non-consumable natural remedies for sleeplessness as well. In any case, if insomnia becomes a more serious problem, it is best to consult a doctor. 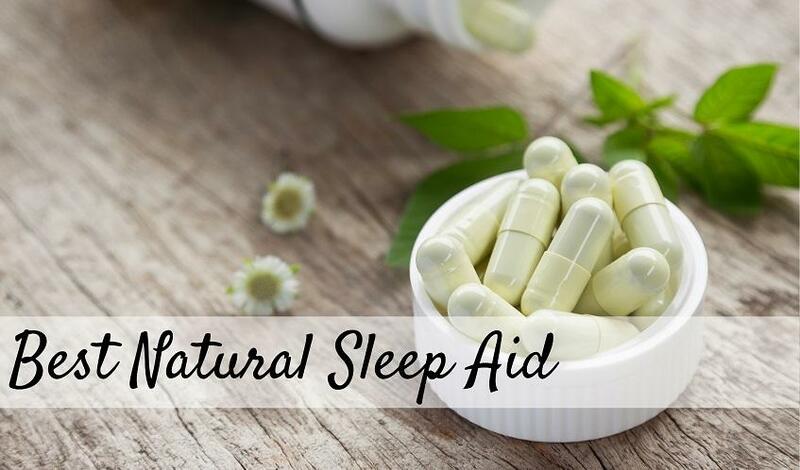 The natural sleep aid products usually come in pill form as supplements that are made with ingredients sourced from our bodies or the outdoors. While drug-based sleep aids are intended to be used occasionally or temporarily, the natural ingredients in natural sleep aids make them safer to consume on a regular basis. Many natural sleeping pills contain some combination of commonly used natural ingredients including melatonin, valerian (or valerian root), chamomile, passionflower, hops, magnesium, and 5-hydroxytryptophan (5-HTP). While the effects of each of these ingredients may vary slightly, they are all used to produce soothing feelings of drowsiness and relaxation, and some may relieve tension or anxiety. Each ingredient is intended to help the user fall asleep fast and stay asleep throughout the night. Finally, there are some natural sleep aids that are not in supplement or pill form. Two of the most common ones are aromatherapy and cognitive behavior therapy. Aromatherapy typically uses essential oils to create a sleep-inducing effect, and cognitive behavior therapy (CPT) involves working with a therapist to improve sleep quality and sleep habits. What Are the Top Five Natural Sleep Aids? Here is a summary of the top five natural sleep aids, and each offers a unique combination of desirable features and options. All of these products are highly rated and sleep tested. The Tranquil Sleep sleep aid is 100% natural and is made up of a combination of hormones and amino acids that govern sleep in our bodies. The active ingredients are melatonin, l-theanine, and 5-hydroxytryptophan (5-HTP). L-theanine and 5-HTP are both amino acids; l-theanine produces a calming effect and 5-HTP is a precursor to melatonin, which regulates sleep cycles. It comes in chewable tablet form, with a recommended dosage of 2 tablets before bed. 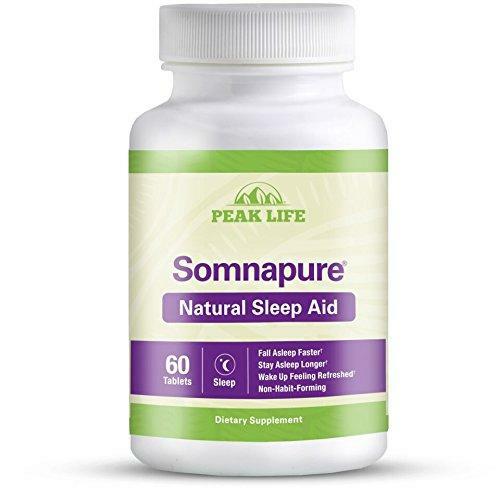 The Somnapure Natural Sleep Aid is highly rated and effective in relieving anxieties and combatting sleeplessness. It contains the active ingredients valerian root, lemon balm, l-theanine, hops, chamomile flower, and passionflower, which are all for relaxation and drowsiness, and melatonin, which helps you stay asleep all night. Somnapure is available in tablet form in 30 or 60 count bottles with a 2-tablets-per-night dosage. 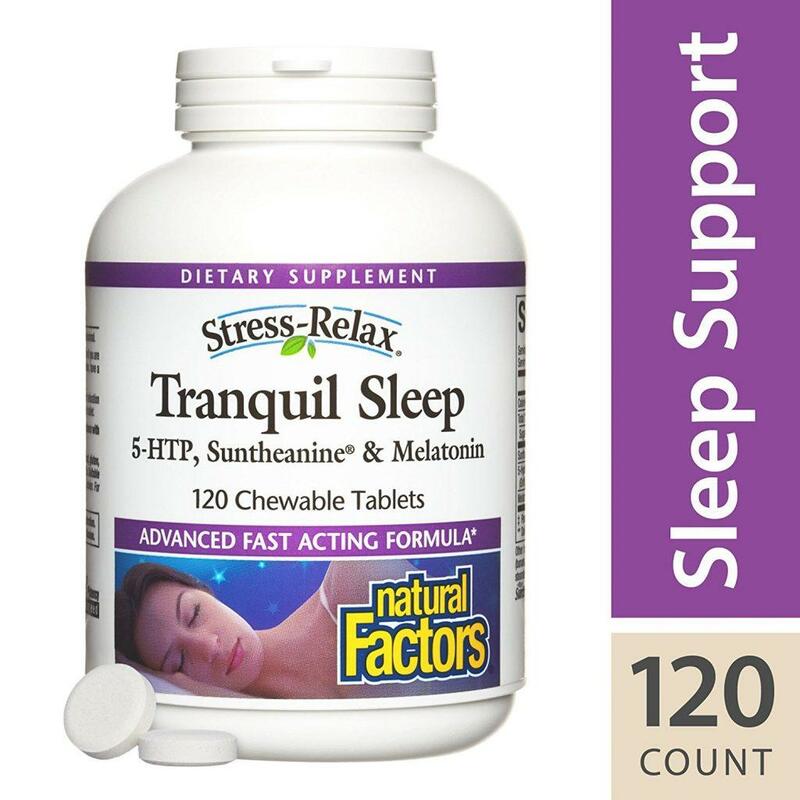 This sleep aid supplement differs from the others on this list because of its unique ingredients that simultaneously ease anxiety and fight insomnia. It is made with avena sativa, calcarea phosphorica, chamomilla, ferrum phosphoricum, humulus lupulus, kali phosphoricum, magnesia phosphorica, natrum phosphoricum, and passiflora. Each of these ingredients has calming qualities that combat stress and irritability. 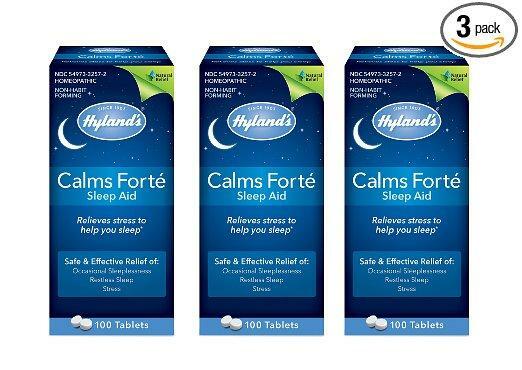 Calms Forté comes in bottles of 100 tablets, and there are bulk purchase discounts available. 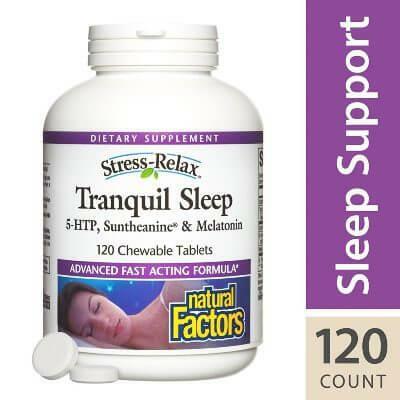 Zhou Nutrition’s sleep aid allows users to easily release stress and drift off to sleep. It is 100% vegetarian and made with melatonin, valerian root, chamomile, GABA, passionflower, lemon balm, and hops. This product also contains l-tryptophan, an amino acid from plant and animal proteins that aids melatonin in regulating sleep cycles. The recommended dosage is 2 capsules per night and Zhou Nutrition offers discounts when you purchase two or more of their products together. 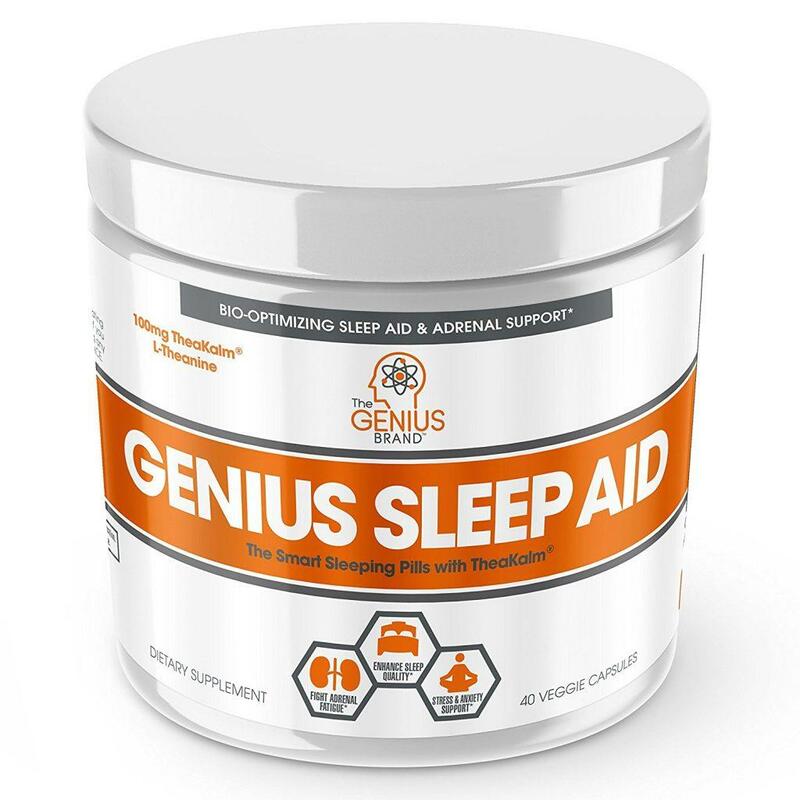 The Genius Sleep Aid helps users fall and stay asleep while also decreasing anxiety levels, balancing moods, detoxing your body of caffeine, and restoring adrenal function. 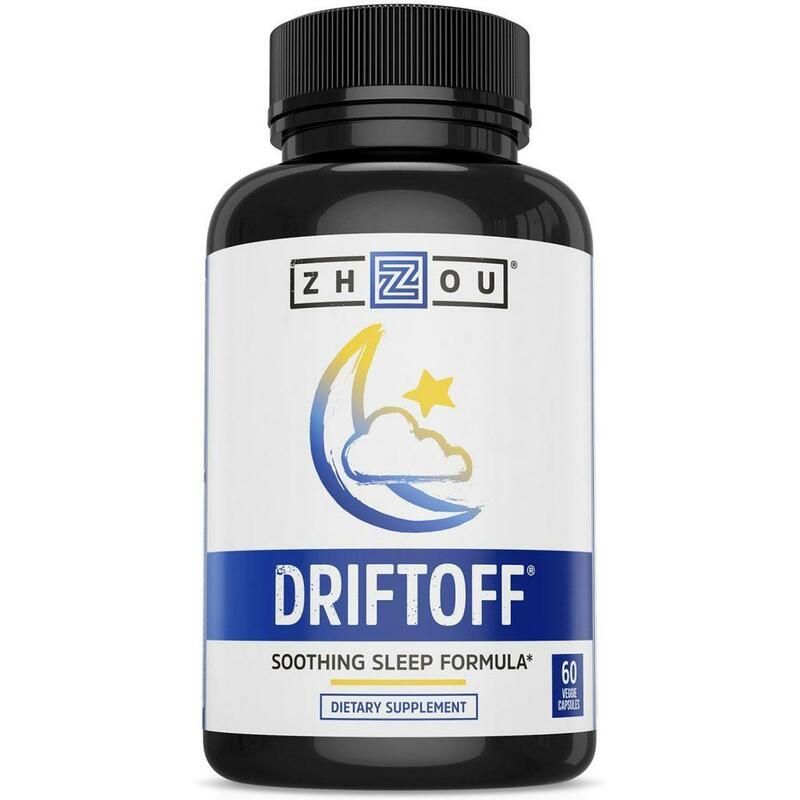 Active ingredients in this sleep aid include melatonin, l-theanine, glycine, which is an amino acid that improves sleep quality, inositol, which reduces anxiety, and rutaecarpine, which helps detox your body of caffeine. Each dosage is 2 veggie capsules. 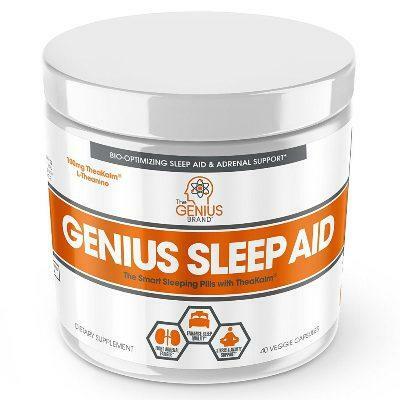 The Genius Sleep Aid is available at a discount when purchased with two or more of the company’s other products. Cognitive Behavior Therapy (CBT) is a non-consumable solution to insomnia that involves a sleep assessment followed by several sessions with a therapist. The process is adapted to address the needs of each individual patient, but the ultimate goal of CBT is to retrain your brain to sleep properly and adequately. During therapy, patients find the reason for their sleeplessness, change their beliefs and attitude about sleep, as well as form good sleep habits and routines. 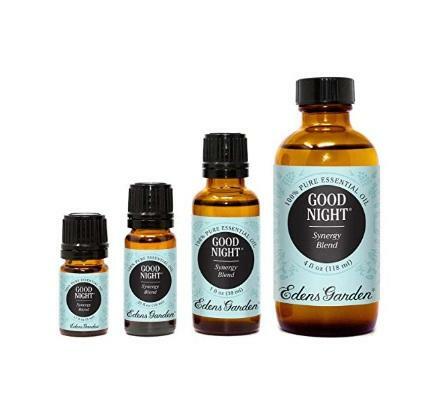 Aromatherapy with essential oils is another effective, non-consumable solution to insomnia. When essential oils are diffused into the air, our nose picks up the aroma and sends it directly to our brain. Certain aromas signal our brain to produce a calm and relaxed feeling, which aids in falling and staying asleep. 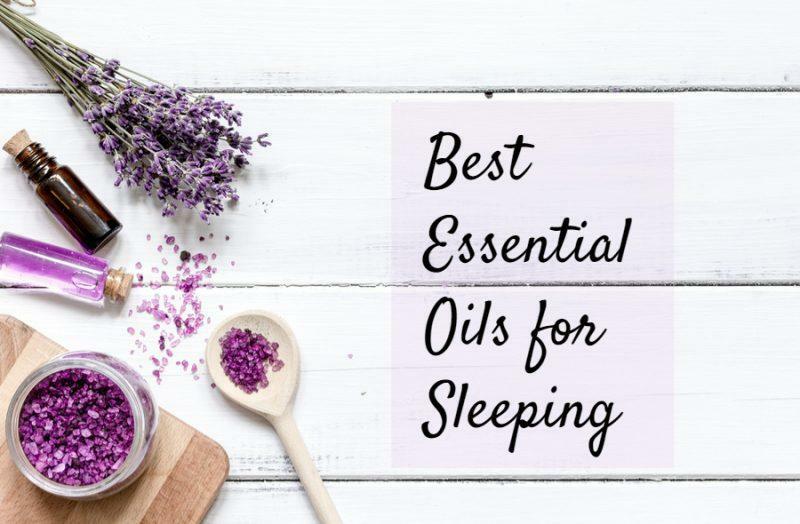 The most common essential oils used as sleep aids are lavender, lemon or yuzu, bergamot, ylang ylang, sage, jasmine, valerian root, and chamomile. Try one of these, or a combination of several, to find which is most effective for you. What Else Should You Consider When Purchasing And Using Natural Sleep Aids? Even though natural sleep aids are considered a safe option for remedying sleeplessness, there are several factors to consider before implementing them into your daily routine. A common misconception with natural products is that there will be no consequences when using them, but this is not necessarily true all of the time. Keep in mind that everyone’s body is different and could react to sleep aids in a number of ways. The two main points to take into consideration when purchasing and using natural sleep aids are how they will interact with your body and how they are made. First, what impact will a natural sleep aid have on your body? Usually the answer to this question has two parts: side effect and interactions. Fortunately, natural sleep aids aren’t known to produce many side effects, with the exception of valerian or valerian root, which could lead to headache, upset stomach, confusion, dry mouth, and feelings of anxiety. Other mild side effects could include a racing heartbeat or having odd dreams while using the sleep aid. With natural sleep aids, interactions pose a higher risk than side effects. Adding a new supplement to your diet could interact negatively with other medications you are already taking or with your body in general. An interaction could potentially create a new health concern or worsen an existing medical condition. An allergic reaction is one example of this. As a result, be sure to inform yourself about any natural sleep aid you plan to use. Next, how are natural sleep aids made? Because the FDA treats supplements as foods rather than medications, natural sleep aids aren’t as strictly regulated as their drug-based counterparts. As a result, some natural sleep aids could be manufactured improperly, contain the incorrect dosage, or have the wrong ingredients, for example. Additionally, supplements and their impact aren’t studied in clinical settings as closely as drug-based sleep aids are. This means that the true effectiveness and strength of the ingredients in natural sleep aids have not officially been proven, which could explain why they work well for some people and not for others. With sleep being such a crucial element of our overall health, losing sleep can bring serious consequences. Natural sleep aids can bridge that gap between maintaining a healthy lifestyle and combatting insomnia. Although natural sleep aids are a safer solution to insomnia, be sure to proceed with caution and be aware of how introducing a new drug or supplement could fit into your individual situation. About Marissa Gvozdenovich Marissa is an English teacher and writer. She enjoys the Florida beach life with her husband and puppy. sleepingculture.com is a participant in the Amazon Services LLC Associates Program, an affiliate advertising program designed to provide a means for sites to earn advertising fees by advertising and linking to Amazon.com and other websites. *Amazon and the Amazon logo are trademarks of Amazon.com, Inc., or its affiliates. Additionally, sleepingculture.com participates in various other affiliate programs, and we sometimes get a commission through purchases made through our links.